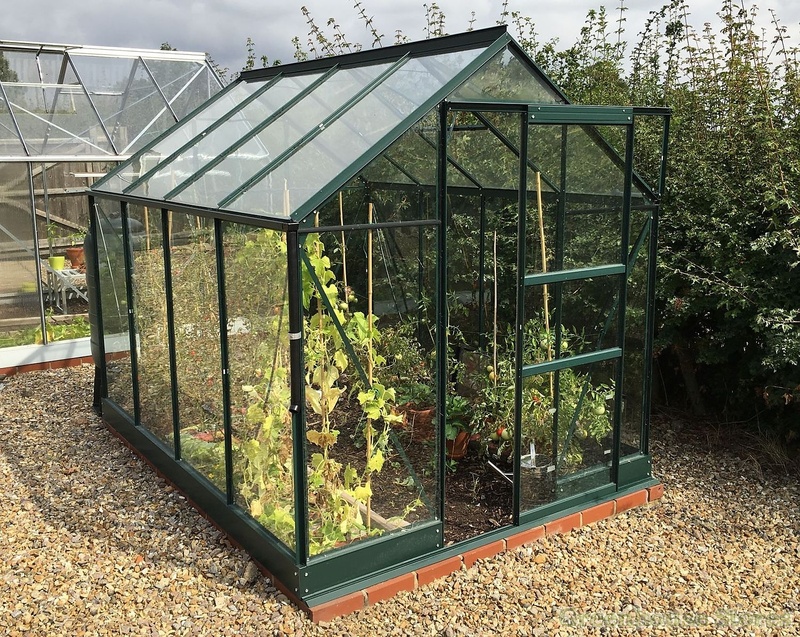 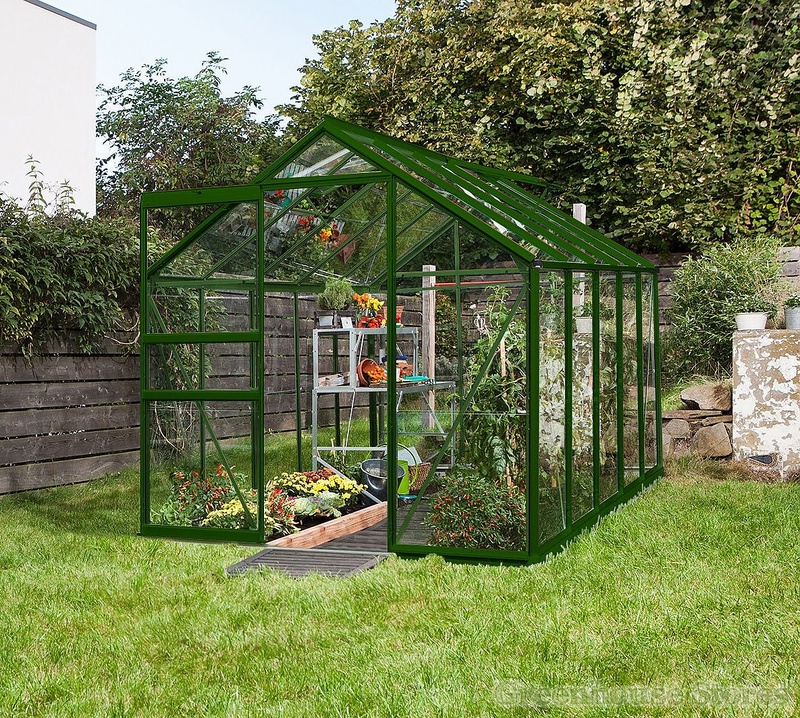 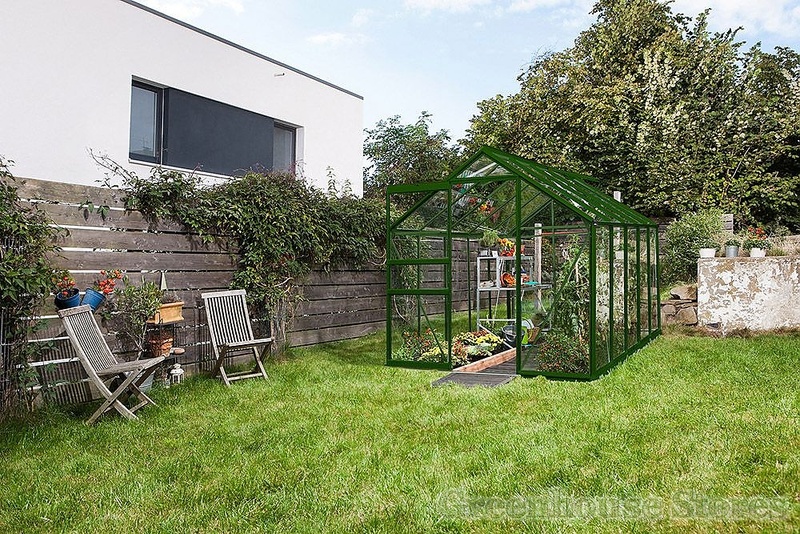 The Vitavia Apollo Green 6x4 Greenhouse with toughened glass is ideal for growing plants and vegetables in a small garden or on your allotment. 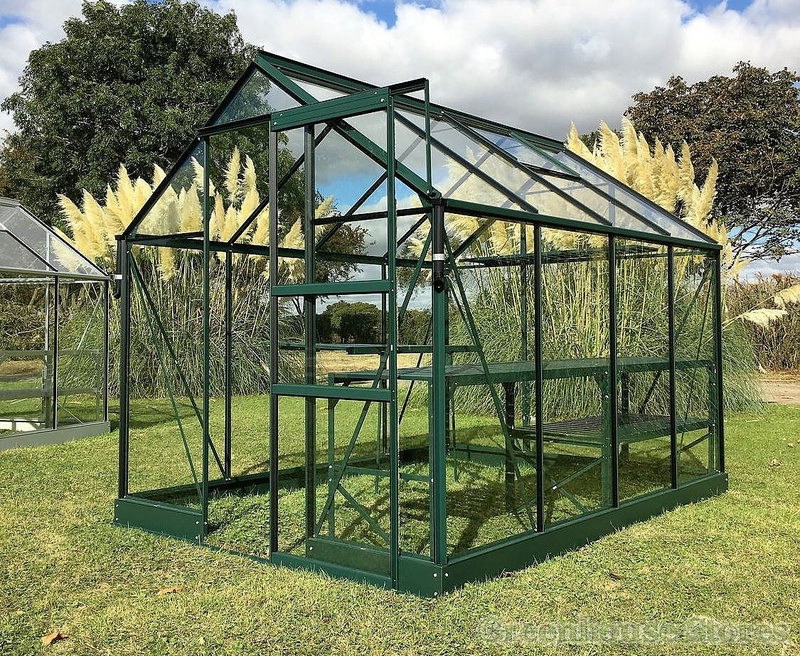 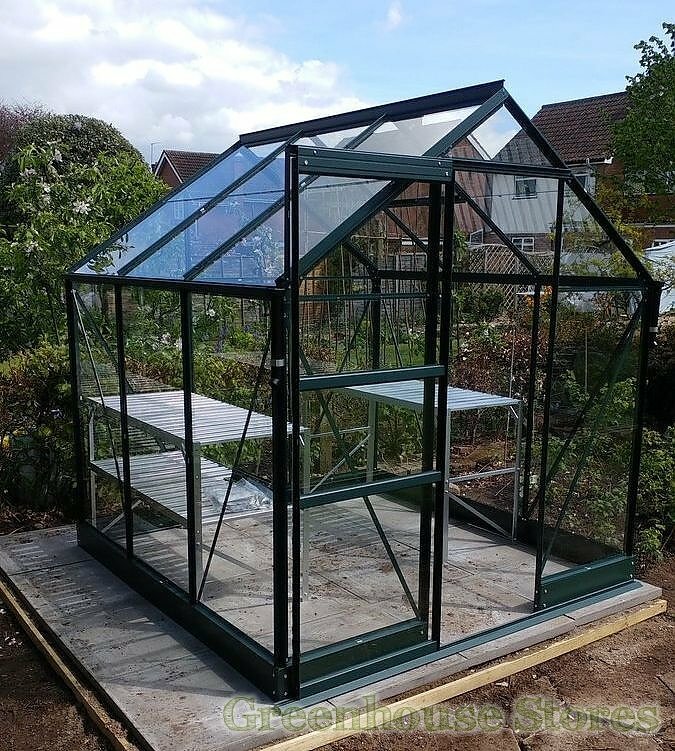 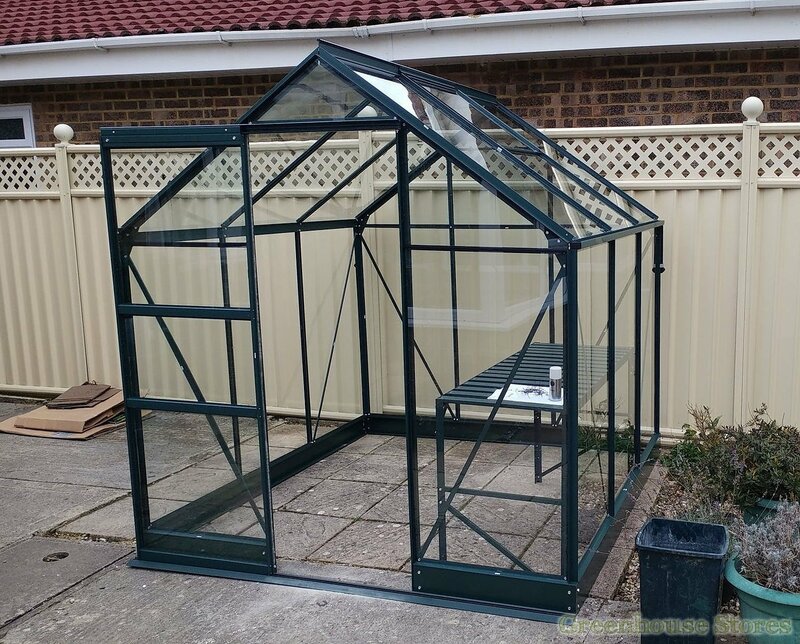 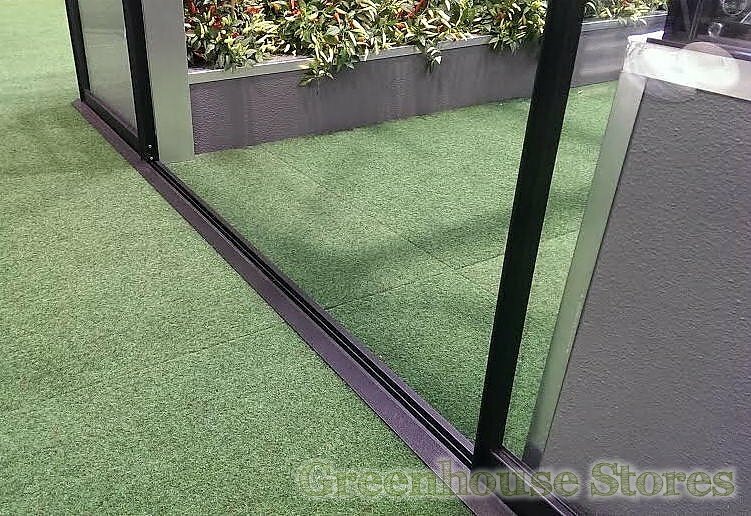 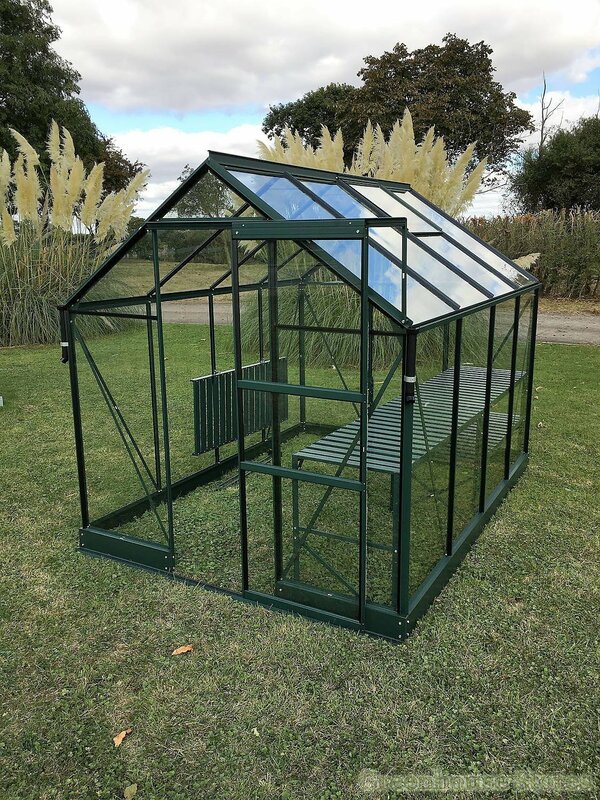 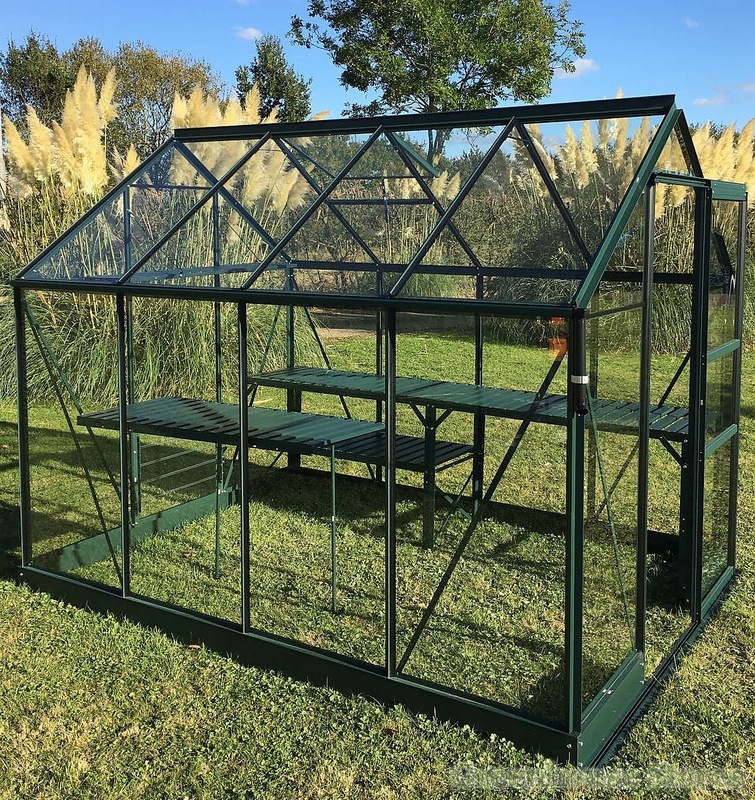 The NEW Vitavia Apollo model with green powder coated frame has the unique low threshold entry point due to it’s built in base plinth that runs around the perimeter of the greenhouse. 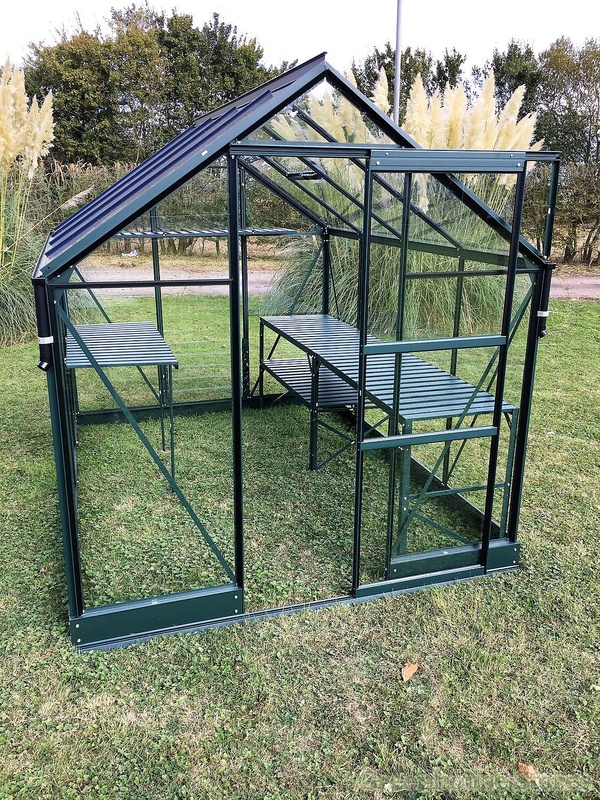 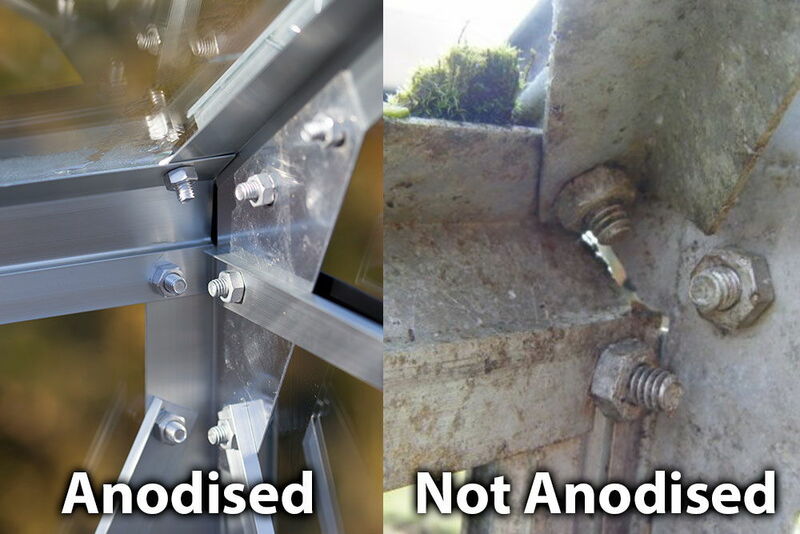 This both provides both great stiffness, and rigidity to the structure and makes coming in and out of the greenhouse super safe as there’s no step to trip over. 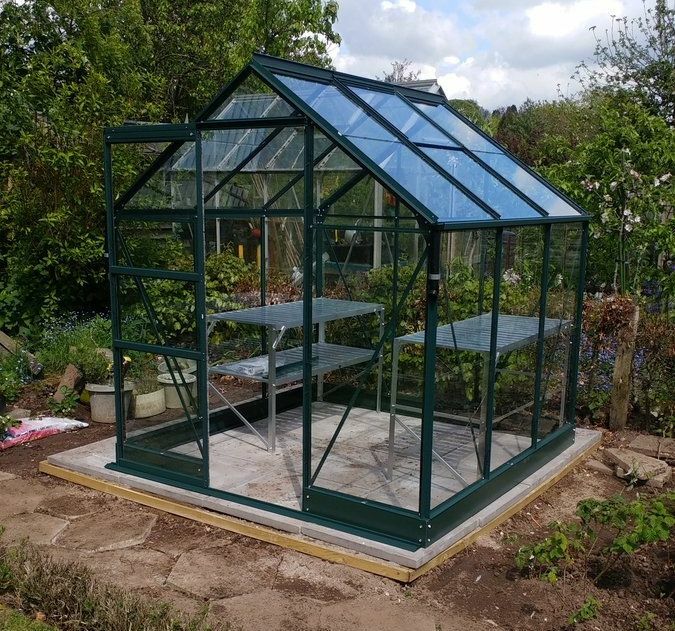 This green Apollo 2500 6ft x 4ft model has an opening roof vent for ventilation, a single sliding door that can be fitted to slide left or right as well as integral gutters.